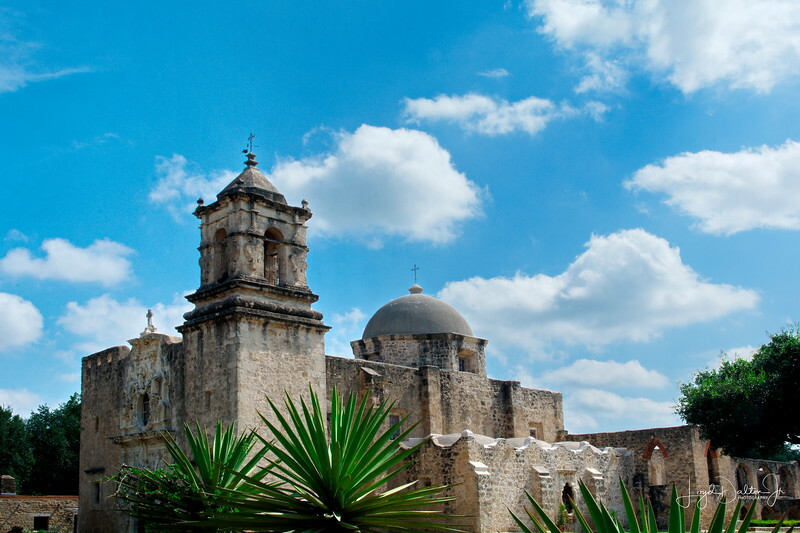 In 1720, Fray Antonio Margil de Jesus founded the best known of the Texas Missions - San Jose y San Miguel de Aguayo. It is the largest of the missions in San Antonio. It was almost fully restored in its original design in the 1930's by the WPA (Works Progress Administration) and it is known as the "Queen of the Missions"! This is a wonderful shot of the Mission. I've been to San Antonio many times over the years but the bulk of those visits have been for work. Some day, I'm going to get back for some R&R and see some of the missions. Great capture! Your composition is great, with the plants in the foreground, then the extensive mission building, the beautiful sky beyond. Wonderful capture of the lovely old mission; excellent comp! Beautiful shot, and interesting to me to see one more example of the lasting results from the WPA. Splendid big old mission; an important part of Texas history! Excellent capture... always a treat to see these amazing buildings saved & restored.